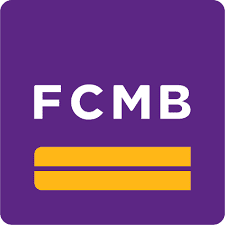 How to generate FCMB token online with mobile banking application. HomeFCMBHow to generate FCMB token online with mobile banking application. We that most customers finds it so hard to generate token for online transaction. This post has come as a rescue to such FCMB customers. When mobile and internet banking first came into Nigerian banks, tokens used in authenticating transactions were in “hardware”, this means using a hard token to generate authentication codes. But now it’s much easier as customers can now generate tokens online without visiting FCMB branch. The FCMB Online token app is a software token security application hosted on your mobile device that is used to authenticate transactions on FCMB Online (Web). This is an alternative to the Hardware token and the SMS token. The FCMB Online token app is downloadable on the mobile phone making it convenient to carry around without stress. The app can be downloaded from any of the stores depending on your phone type (Apple store, Android store, BB store and Windows store – (Android Version, iOS , Windows & Blackberry once we go live). Steps to download FCMB Online Token Application. Visit the App store of respective device (i.e. Android , iOS, Blackberry and Windows). Search, download and install the FCMB Online Token App. Log on to FCMB Online (Internet Banking) personal version and click on the “Utilities” menu. Select “FCMB Online Mobile Token”. Select account to debit for the mobile token activation. Click on “Process Request” to register. If Successful, the platform displays “Token Registration Successful” and customer is debited for the charges and the following activation details displayed. QR Code for QR Code activation. On the App, Click on “Scan QR code for New User”. Phone switches to camera mode. Customer Scan the QR Code with the phone. Registration is completed and the FCMB Online Token App is ready for use. Ababioblog is a multi-author blog in Nigeria. The team comprises professionals and Consultants from different fields of human endeavour. Our target is Nigerians, to meet them with our daily and weekly articles.